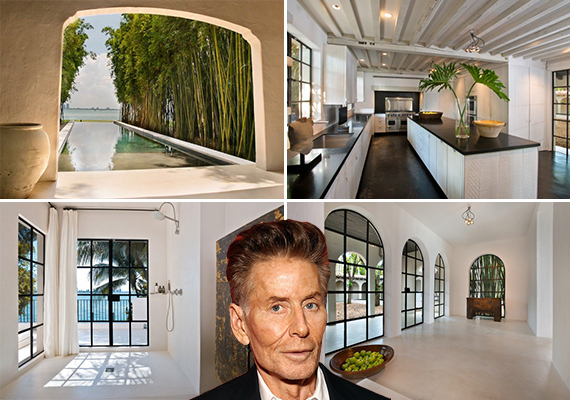 Calvin Klein's home at 4452 North Bay Road was listed in October 2016 for $15 million. The 5,800-square-foot home sits on a 16,709-square-foot lot and has 113 feet of open bay frontage. This home with beautiful views offers five bedrooms, five bathrooms, two half-baths, a pool and two garages. The indoor and outdoor living areas total 7,966 square feet. The sale price equates to $2,267 per square foot, selling for 13.15 Million Dollars. This area of Miami Beach has been home to celebrities such as Ricky Martin and Matt Damon. Barry Gibb of the Bee Gees and basketball star Chris Bosh also have waterfront properties here.